In the near future, a time when being overweight means additional taxation, an innovative weight-loss clinic comes up with a groundbreaking system. Trainers have their brain waves downloaded into overweight clients so that they can run on the treadmill, lift weights, and do squats for them. When the clinic launches its first division for clients under eighteen, seventeen-year-old Morgan Dey jumps at the chance to earn credits to help pay off some family bills. 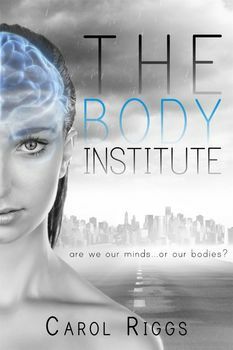 Morgan is recruited by The Body Institute to become a Reducer for a client who is 100 pounds overweight: a job that comes with unusual conditions, including Morgan living at the client's home instead of at the clinic, and eating the food prepared by the family's live-in cook. The challenges of diet and exercise aside, Morgan begins to experience stray memories from her host, causing her to question her own identity and whether she really is the same Morgan now that she's in someone else's body, house, and family. And when the clinic begins to face violent protests from an anti-Reducer group that questions the ethics involved in the Reducer program, Morgan realizes she stands to lose much more than the 100 pounds she'd originally signed up for. When Morgan's brain waves are downloaded into an overweight client, she stands to lose much more than the 100 pounds she'd originally signed up for.